Here’s our little baby in a basket. 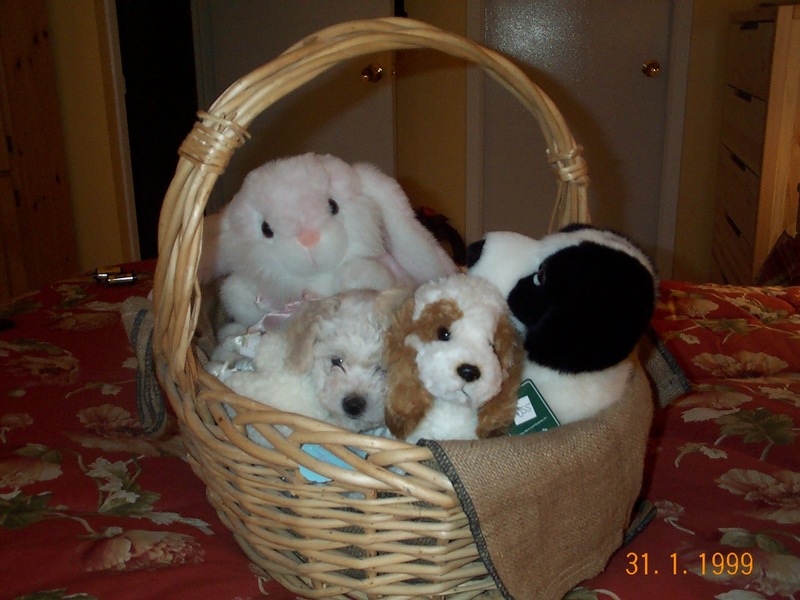 (Cookie is on the left in front of the big pink bunny and partially hidden by the brown and white stuffed puppy). At birth, Cookie weighed just 7.75 ounces. She was smaller than even my tiniest stuffed puppy. Cookie is seven-and-a-half, now, and weighs about 15 pounds! Just as with our children, we keep wondering, where did the time go?